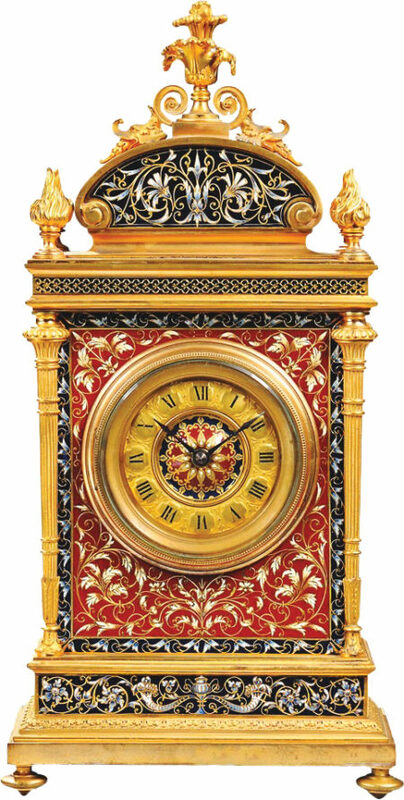 This French mantel clock is beautifully crafted out of gilt bronze and vibrant Champlev enamel. The clock features an 8 day movement with bell strike and unusual hidden winding keys. Signed Etienne Maxant, Paris.